COPYRIGHT BLUEPRINT REALITY INC. 2017 – ALL RIGHTS RESERVED. Blueprint Reality Inc., a corporation registered in British Columbia, Canada (“Blueprint Reality”,“we,” or “us”), is the proud creator of MixCast(™), a virtual reality broadcast tool (“MixCast” or the “Software”). IF YOU DON’T AGREE TO BE BOUND BY THIS EULA, PLEASE DO NOT USE THE SOFTWARE. Subject to this EULA, Blueprint Reality grants you a limited, nonexclusive, revocable, non-transferable, non-sublicensable, right and license to one copy of the Software for single simultaneous use. Your license rights are subject to your compliance with this EULA. make a copy of the Software for back-up purposes only in support of the permitted use. The copies must reproduce and include the Owner’s copyright notice. The Software is protected by intellectual property laws and treaties, including copyright laws. You understand that the Software is being licensed to you and therefore no title or ownership in the Software is being transferred or assigned by the granting of this license. This EULA should not be construed as a sale of any rights in the Software. At all times, Blueprint Reality retains all right, title, and interest to the Software, including, but not limited to, all copyrights, trademarks, trade secrets, trade names, proprietary rights, patents, titles, computer codes, themes, settings, artwork, sound effects, and moral rights. All rights not specifically granted under this EULA are hereby reserved by Blueprint Reality and no license, permission or right of access or use not granted expressly herein shall be implied.  For any purchase of a MixCast license on or after May 10, 2017, the use of the Software is limited based on your specific subscription type, which is based on your intended usage. This license is for VR Arcades and is designed for companies that license multiple products and rent them out to people and small groups of people on a per-station basis for a limited amount of time. If your use falls under an other subscription types please purchase a different type of license or contact us at sales@blueprintreality.com for pricing and further details. Using MixCast to charge a fee per use, such as a rental of a station or a ticket to a ride. Selling or giving materials (including photos or video of patrons (as individuals, not companies)) that were created using MixCast and a VR title that the VR Arcade has the rights to at the VR Arcade. – promotes illegal or harmful activities. Blueprint Reality reserves the right to monitor access to or use of the Software, we have the right to do so for the purpose of operating and updating the Software, to ensure compliance with this EULA, and to comply with applicable law or other legal requirements. Display the MixCast Logo in the bottom right corner of the screen at all times during your video. Display the following in the credits of the video: “Made with MixCast” as well as adding the MixCast logo. Expiration. Your license is not renewed when the expiration date is reached. If this EULA is terminated, for whatever reason, all rights granted to you under this EULA, including the license to use the Software, will terminate, unless expressly reserved by applicable law. You will discontinue your use of the Software. Any broadcasts previously released with MixCast remain allowed, however, no further broadcasts or releases shall be allowed. In no event of termination will Blueprint Reality be liable to pay you a refund of any fees. In the event of a termination, provisions relating to intellectual property rights, Termination, Warranty Disclaimers, Indemnity, and Limitations of Liability, shall survive such termination. “User Content” is all the information, be it text, graphics, images, music, software, audio, video, works of authorship of any kind, that you create, transmit or upload while using the Software, including but not limited to, posting, uploading, inputting, providing, or submitting content, publicly or privately, on community forums, websites or directly to Blueprint Reality. User Content includes any feedback or suggestions you provide to Blueprint Reality. You represent and warrant that: (i) you own all your User Content or you have all rights that are necessary to grant us the license rights in your User Content under this EULA; and (ii) neither your User Content, nor your use and provision of your User Content to be made available through the Software will infringe, misappropriate or violate a third party’s intellectual property rights, or rights of publicity or privacy, or result in the violation of any applicable law or regulation. You can remove your User Content by specifically deleting it. However, in certain instances, some of your User Content may not be completely removed and copies of your User Content may continue to exist. We are not responsible or liable for the removal or deletion of (or the failure to remove or delete) any of your User Content. THE SOFTWARE IS PROVIDED “AS IS,” WITHOUT WARRANTY OF ANY KIND. WITHOUT LIMITING THE FOREGOING, WE EXPLICITLY DISCLAIM ANY WARRANTIES OF MERCHANTABILITY, FITNESS FOR A PARTICULAR PURPOSE, QUIET ENJOYMENT OR NON-INFRINGEMENT, AND ANY WARRANTIES ARISING OUT OF COURSE OF DEALING OR USAGE OF TRADE. We make no warranty that the Software will meet your requirements or be available on an uninterrupted, secure, or error-free basis. We make no warranty regarding the quality, accuracy, timeliness, truthfulness, completeness, or reliability of the Software. NEITHER BLUEPRINT REALITY NOR ANY OTHER PARTY INVOLVED IN CREATING, PRODUCING, OR DELIVERING THE SOFTWARE WILL BE LIABLE FOR ANY PERSONAL INJURY, INCIDENTAL, SPECIAL, EXEMPLARY OR CONSEQUENTIAL DAMAGES, INCLUDING LOST PROFITS, LOSS OF DATA OR GOODWILL, SERVICE INTERRUPTION, COMPUTER DAMAGE OR SYSTEM FAILURE OR THE COST OF SUBSTITUTE SERVICES ARISING OUT OF OR IN CONNECTION WITH THIS EULA, INCLUDING WITHOUT LIMITATION, ACTIONS BY OTHER USERS, OR FROM THE USE OF OR INABILITY TO USE THE SOFTWARE, WHETHER BASED ON WARRANTY, CONTRACT, TORT (INCLUDING NEGLIGENCE), PRODUCT LIABILITY OR ANY OTHER LEGAL THEORY, AND WHETHER OR NOT BLUEPRINT REALITY HAS BEEN INFORMED OF THE POSSIBILITY OF SUCH DAMAGE, EVEN IF A LIMITED REMEDY SET FORTH HEREIN IS FOUND TO HAVE FAILED OF ITS ESSENTIAL PURPOSE. SOME JURISDICTIONS DO NOT ALLOW THE EXCLUSION OR LIMITATION OF LIABILITY FOR CONSEQUENTIAL OR INCIDENTAL DAMAGES, SO THE ABOVE LIMITATION MAY NOT APPLY TO YOU. IN NO EVENT WILL BLUEPRINT REALITY’S TOTAL LIABILITY ARISING OUT OF OR IN CONNECTION WITH THIS EULA OR FROM THE USE OF OR INABILITY TO USE THE SOFTWARE EXCEED THE AMOUNTS YOU HAVE PAID TO BLUEPRINT REALITY FOR USE OF THE SOFTWARE OR ONE HUNDRED DOLLARS ($100), IF YOU HAVE NOT HAD ANY PAYMENT OBLIGATIONS TO BLUEPRINT REALITY, AS APPLICABLE. You will indemnify and hold harmless Blueprint Reality and its officers, directors, employees and agents, from and against any claims, disputes, demands, liabilities, damages, losses, and costs and expenses, including, without limitation, reasonable legal and accounting fees arising out of or in any way connected with (i) your access to, use or misuse of the Software, (ii) any activities conducted with your copy of the Software (whether by you or another person); (iii) your violation of this EULA, including the creation of User Content that is found to be in violation of this EULA. Blueprint Reality may modify this EULA at any time, in our sole discretion. If we do so, we will let you know either by posting the modified EULA wherever the Software may be downloaded or through other communications. You should review any modified EULA, as it is modified, because if you continue to use the Software after we have posted the modified EULA, you are indicating to us that you agree to be bound by the modified EULA. If you don’t agree to be bound by the modified EULA, then you may not use the Software anymore. The Software may evolve over time, therefore we may change or discontinue all or any part of the Software, at any time and without notice, at our sole discretion. Governing law. ​This EULA shall be governed and construed under the laws of Canada and the province of British Columbia. You hereby agree that the United Nations Convention on Contracts for the International Sale of Goods is excluded in its entirety from application to this EULA. Severability. To the extent any section, clause, provision or sentence or part thereof of this EULA is determined to be illegal, invalid or unenforceable by competent authority in any jurisdiction, then that portion shall be severed and the remainder of this EULA shall be given full force and effect. No Assignment. You may not assign or transfer this EULA, by operation of law or otherwise, without Blueprint Reality’s prior written consent. Any attempt by you to assign or transfer this EULA, without such consent, will be null. Blueprint Reality may freely assign or transfer this EULA without restriction. Subject to the foregoing, this EULA will bind and inure to the benefit of the parties, their successors and permitted assigns. No Waiver. Blueprint Reality’s failure to enforce any right or provision of this EULA will not be considered a waiver of such right or provision. The waiver of any such right or provision will be effective only if in writing and signed by a duly authorized representative of Blueprint Reality. Except as expressly set forth in this EULA, the exercise by either party of any of its remedies under this EULA will be without prejudice to its other remedies under this EULA or otherwise. Entire Agreement. This EULA constitute the entire and exclusive understanding and agreement between Blueprint Reality and you regarding the Software, and this EULA shall supersede and replace any and all prior oral or written understandings or agreements between Blueprint Reality and you regarding the Software.